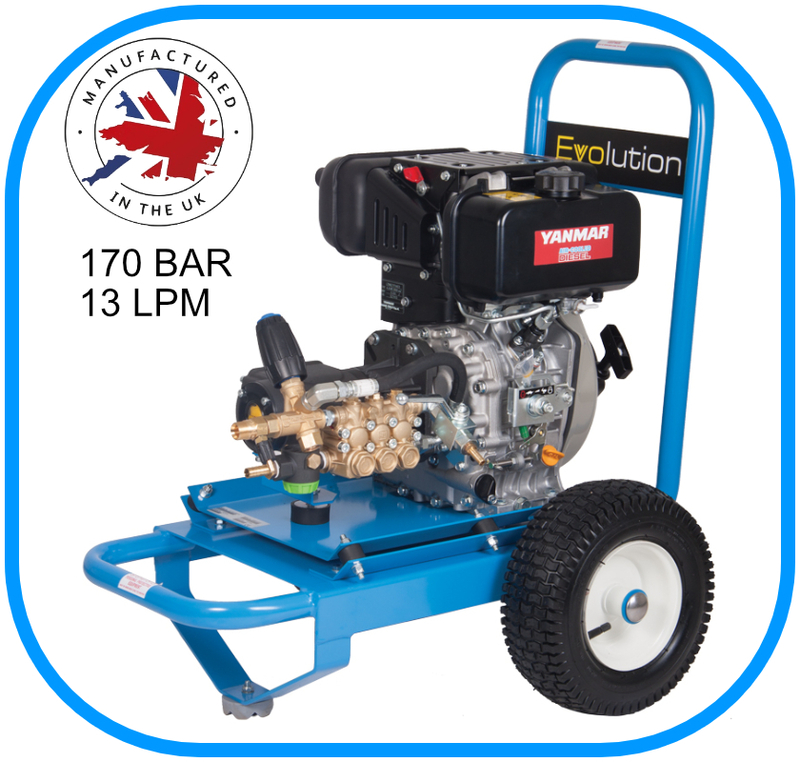 The Evolution range of pressure washers are designed by the leading UK pressure washer manufacturer Dual Pumps and the Evolution 1 machines are the direct drive section of this range, fitted directly to the engine rather than with a reduction gearbox. The petrol pressure washers in this range are built with the hard-wearing and reliable Honda GX series of engines and the diesels are built with the industrial Yanmar engines coupled to the versitile Intperpump range of pumps, the most popular range in the UK, on a powder-coated steel frame manufactured in the UK. This package includes a 900mm standard lance with a fixed 15 degree jet, three meters of inlet hose with filter, and ten meters of high pressure hose. They come with M22 screw type connections for ease of use coupled with tightness of fit. For more information please call our office on 01572 729412 within working hours.